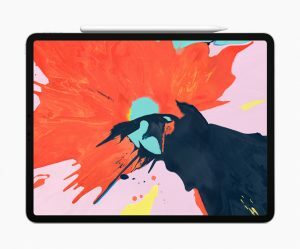 In the most recent announcements from Apple, they revealed products that look interesting but are not as innovative as the Mac and the iPhone. On October 30, Apple held an announcement conference in the Brooklyn Academy of Music. The announcement had a lot of dry humour, which made CEO Tim Cook, and the other people who spoke in it, sound like they were enthusiastic and excited. Some of their innovations felt like small changes, but two out of the three products they announced were exciting. Before they announced a new product, Cook made a speech about why the product is important to a lot of people. After the product reveal, he then ruined the moment by letting another person explain the product instead of him—which in my opinion is a mistake and becomes distracting. Cook should speak more about the products himself. First, they announced the next version of the MacBook Air, which has a lot of new features. It finally has a retina display, Touch ID so that you can buy things with your fingerprint, and an improved keyboard. Also, it is thinner and lighter, which will allow you to carry it anywhere to work on your creations. Then, they announced the next version of the Mac Mini. The only new features in it are that it is faster and has more space. Next, they gave an update on the workshops that they do in Apple Store branches called “Today at Apple.” The tech company claimed there will be more new types of workshops available. The biggest announcement out of all was regarding the next version of the iPad Pro, which has a thinner and smoother design. It no longer has a home button, which allows the iPad to have an edge-to-edge screen and to be used in any orientation. The screen can present content at 120 fps. With Face ID now included, it has facial recognition for security. There are a lot of magnets in it, making it easier to put accessories and even recharge the Apple Pencil. You can even recharge the iPhone through the port. It’s like the iPad Pro is now a smaller version of a laptop. This Apple announcement has Apple on the right track to have another game-changing moment, which I look forward to in their future. However, next time, maybe announce the iTV?